These workbench plans offer an excellent platform for you to carry on your work in a safe and convenient way. Their built-in large storage capacity is also sure to help you store some of your items. Build a good, solid workbench as the base of you woodworking shop. Build a workbench that has a large work surface and storage underneath. This well built workbench will last through many generations of woodworkers. Build a rolling workbench that has plenty of work and storage space. This workbench plan uses 2 x 4's to produce a relatively cheap work bench. Free plans are nice, but if you want to buy a workbench plan instead, check out the books listed below. Step into next level of advancement and refurbish your shop by crawling through this special book on shop improvements. 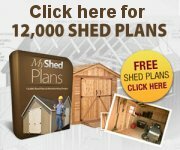 Build your own amazing outdoor shed the faster and easier way with these step by step quality shed plans. 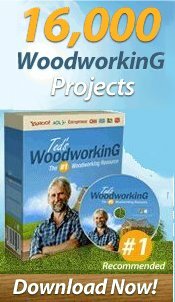 Free-Woodworking.com - Disclosure :We are affiliates of the products recommended on Free-Woodworking.com.